This is a quick video of our three days there which was work AND play!!! And is a little tribute to the founder of Dermalogica Jane Wurwand who is apparently partial to a certain Glam Rocker!! The leaves are turning, there’s a chill in the air and fall is here! For some, this change in weather can cause unhappy skin. Pick up our Ultracalming Skin Kit to help fight itching, redness, and reactive skin flare-ups associated with sensitive skin! Tattooing is as ancient as modern man. These decorative marks have been found in cavemen and mummies, spanning many different cultures worldwide. The first modern tattooing machine was modeled after Thomas Edison’s engraving machine and ran on electricity. Today, over 60 million Americans have at least one tattoo – that means one out of every 5 people have gotten inked at some point in life. In this day and age, as tattoos are not taboo anymore, we must focus on caring for them and understanding their impact on skin health. First, how do they work? Tattoos inject dye into the skin using small needles that puncture skin at a frequency of 50-3000 times per minute. The needles penetrate past the epidermis into the underlying dermis, leaving behind pigment in the entire area. The living dermis is composed of collagen fibers, nerves, sweat glands, sebaceous glands, blood vessels and basically everything that keeps skin connected to the rest of the body. Every time the needle penetrates, it causes a wound in the skin and alerts the body to begin the inflammatory process- the skin’s method to deal with danger. Cells of the immune system travel to the wound site and begin repairing the skin. These very cells are the reason tattoos are permanent. Specialized cells called macrophages virtually ‘eat’ the invading material in an effort to clean up the inflammatory mess. As these cells travel through the blood vessels, some of them are carried back, with a belly full of dye, into the lymph nodes while others remain in the dermis. Because macrophages don’t have a way of dissolving and disposing of the pigment, it remains in the dermis, where they are visible through the skin. Initially, the ink is deposited in both epidermis and dermis, but as skin heals, the damaged epidermal cells are shed and replaced by new, dye-free cells. This is why the color may look less deep and vibrant as when all the cells carry the dye in the initial wound. It’s important to remember that freshly tattooed skin is wounded- and skin care services must not be performed in this area until fully healed. During this time, skin can be itchy, red, inflamed and sensitive, with a high risk of infection. Healing time can range, depending on the individual, from weeks to months. Because tattooing causes trauma to the skin, some individuals may want to think twice before going under the needle. It can trigger or worsen conditions like Psoriasis, and skin may take longer to heal in those with autoimmune disorders or taking immunosuppressive medication. Other considerations include the pigment type and equipment sterility. Some pigments, especially red, can be phototoxic in some people, resulting in skin irritation when exposed to sunlight. Any abnormal reactions should always be checked by a physician. How can you prepare for getting inked? 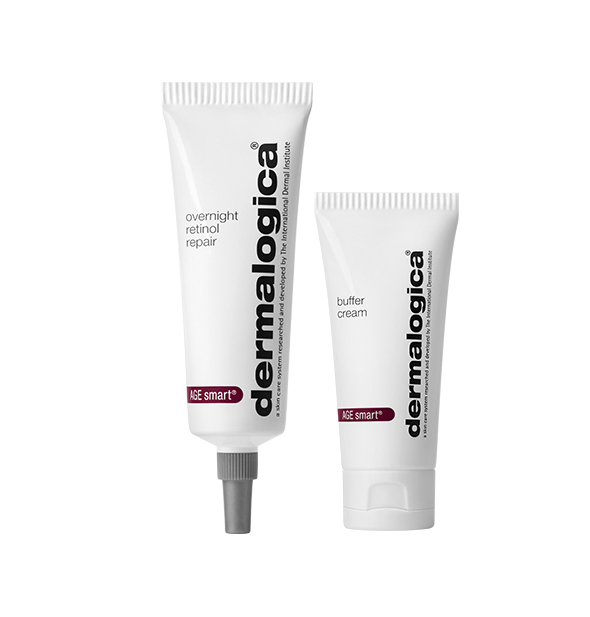 Chronic sun damage can degrade collagen and increase elastin, as in solar elastosis. This means skin is thickened, dry and wrinkled – not exactly the perfect canvas for artwork. So sun protection is crucial before – and after tattooing. You may also want to keep skin healthy and hydrated by exfoliating regularly and keeping the barrier intact. Caring for tattooed skin doesn’t have to be complicated. With time, the colors will fade, as the cells renew themselves, but the epidermis can also become dull and dry when not properly cared for. So using enzymes, AHAs, and hydrating serums and moisturizers will keep the epidermis smooth and clear, revealing the bright pigments below. Perhaps the best way to protect your tattooed skin is to protect it from UV damage. Broad-spectrum UV protection and proper skin care on a daily basis will ensure that your investment remains bright and intact. 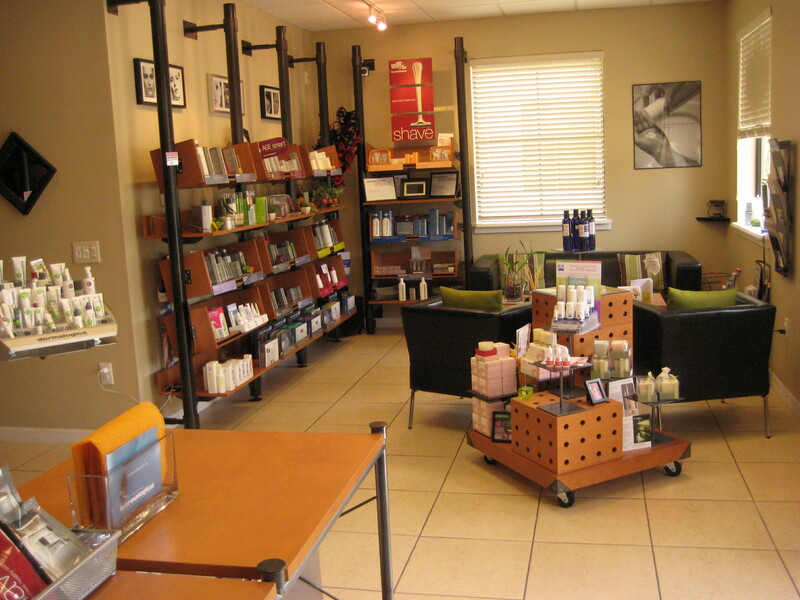 Come and enjoy the Skin Bar Education Center. Get to know our products, up-close and personal. 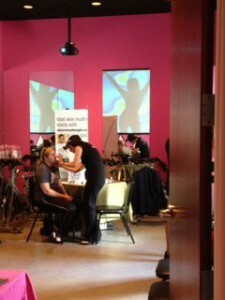 At Skin Bar, you can learn about your skin with Face Mapping®, and then learn how to use the products, hands-on. Fine-tune your regimen for unsurpassed results. Or, simply let your skin escape during a lunch break or after work. 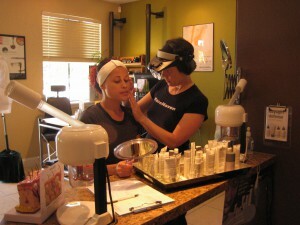 At FaceHaven we don’t believe in just leaving you to fend for yourself after your Facial or purchase of Dermalogica. We will always educate you on how to use your products correctly for your home care. 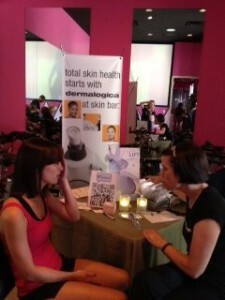 Even if you’re not sure and have never been to FaceHaven before, skin care consultations are always free. 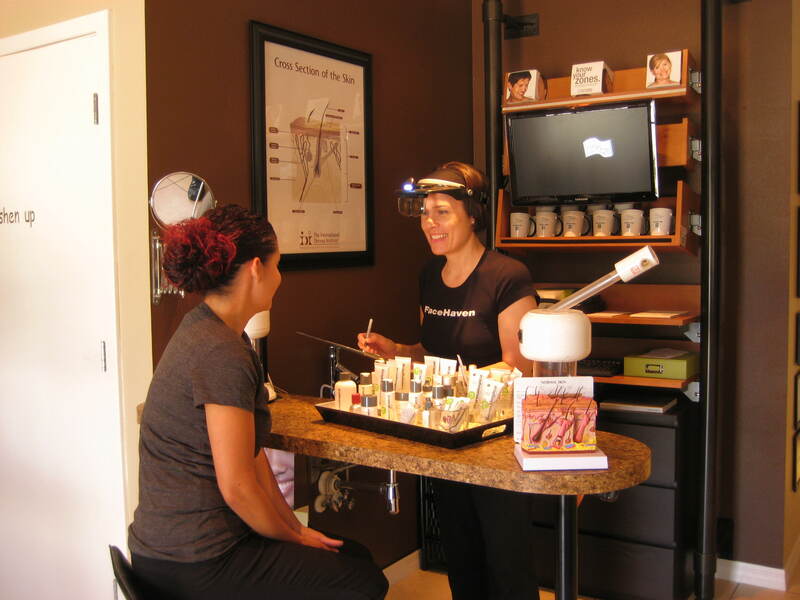 but it is always best to schedule an appointment before you come as so we can have a FaceHaven team member ready to assist you. 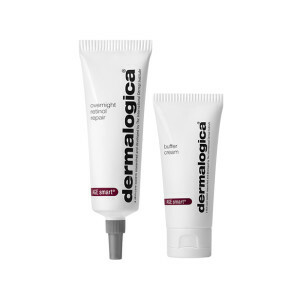 Free Dermalogica Delivery To Disney Or Universal Hotels. Father’s Day Online Gift Cards Are Just A Click Away.